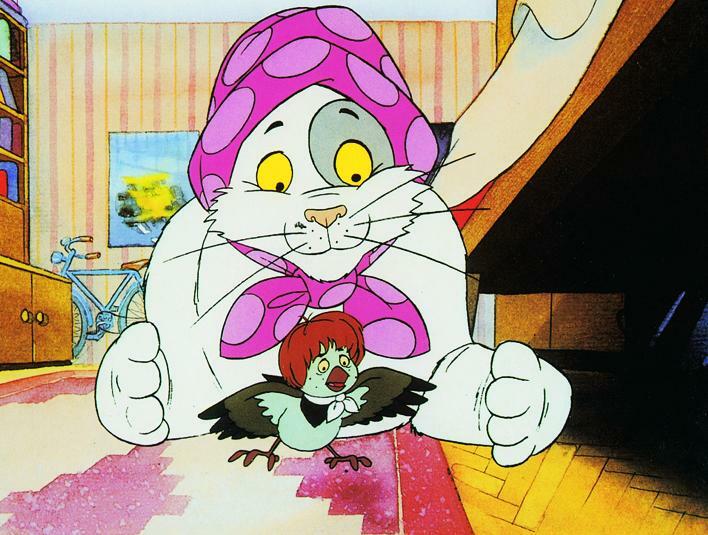 I know I say this a lot, but this one is actually one of my top favorite Hungarian cartoons. 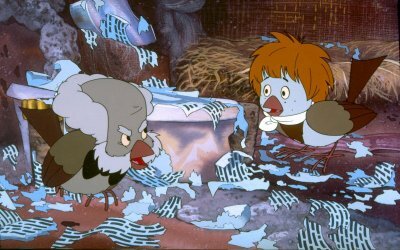 When a boy pisses off the Sparrow Fairy by shooting at birds, he gets turned into a sparrow himself, and has to learn what life is like for tiny birds in a bid city. 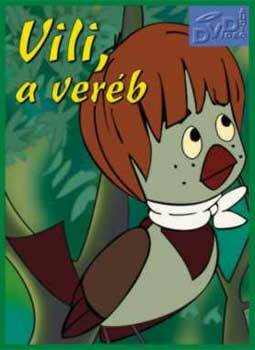 Vili, a veréb (Willy the Sparrow) is a 1989 feature length animated movie. It is not only gorgeously drawn (featuring recognizable Budapest scenes and buildings as the backdrop), but also geniously animated - you can tell that the creators spend serious hours watching sparrows... do sparrow things. The Sparrow Fairy only turns Vili into a sparrow to teach him a lesson (and prove that she is actually a fairy, and not just a silly old woman). But her magical spray can malfunctions, and she has to go back to the Headquarters to get it fixed, so she leaves Sparrow-Vili alone in his room. Unfortunately, the family's much-tortured cat takes this opportunity to avenge herself on the kid, and Vili has to flee out of the apartment and into the park. And so the adventures begin. In the park, Vili makes friends with a flock of actual sparrows, who are at first very surprised why he can't fly - and then save him from the cat and take him to a wise old sparrow, Cipur, for flight training. 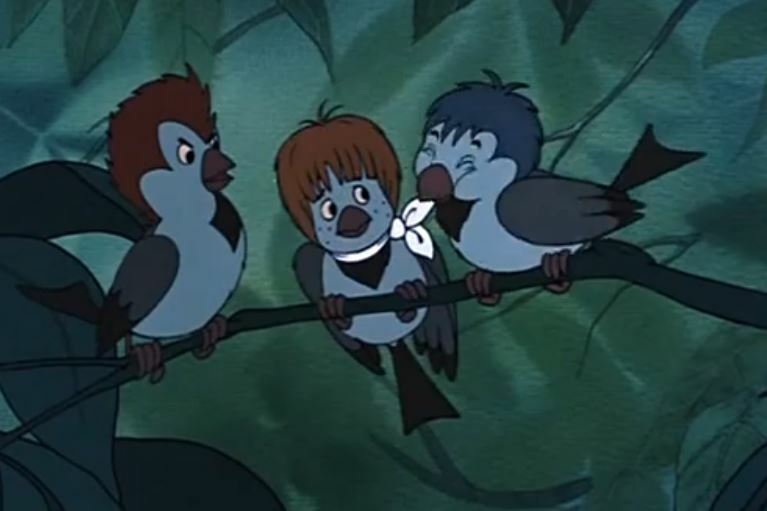 Vili confesses to Cipur that he is actually human, and they make a deal: Cipur teach Vili to fly, and Vili teaches Cipur to read and write (because the old bird has a crush on the Sparrow Fairy). In the process, Vili learns a lot about sparrows, and also a lot about friendship and bravery. "Any questions? No questions? Let's go!" - he always says it fast enough that no one can get a word (or question) in. Whenever one of them says or does something dumb, they get called a "dongó," which means bumblebee. "Csures, you are bublebee" is a great way of dissing someone. My favorite piece of wisdom, however, comes from Cipur: Every time he leaves Vili alone, he says "One eye, one ear, is always alert." While this is supposed to reflect the way tiny birds live, it is also a very handy quote for parenting in general. My mother says it a lot to me when I set off on a trip. In addition, there is also a scene where Vili touches on the basic problems of academic writing. I blogged about it in detail here. Love the "haircut" on the main character. That looks like a cartoon I would have loved to watch as a child.